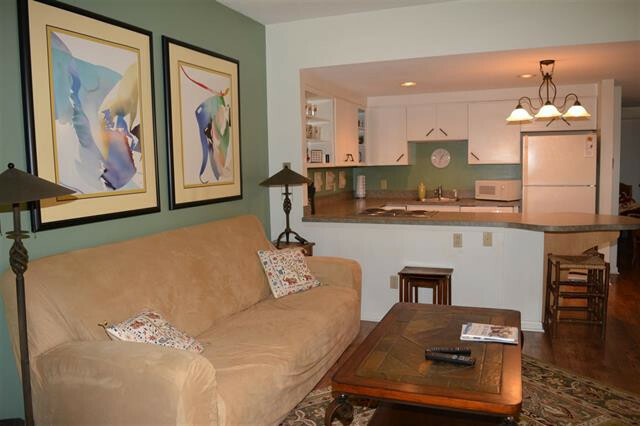 3-Bedroom, 3-Bath Ledyard Style Condo with Water Views! Furnishings are negotiable to make this unit turnkey. Watch the morning sunrise from all three levels! 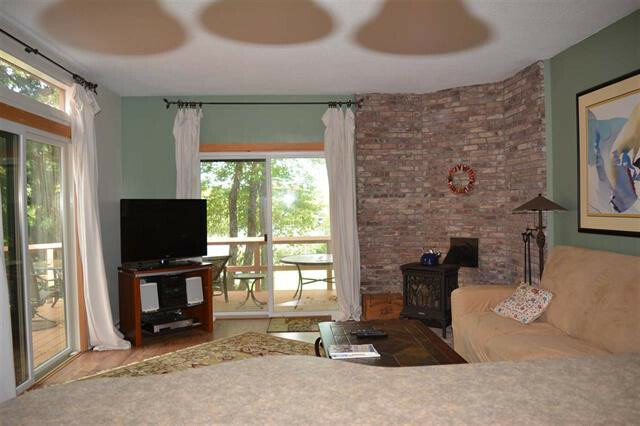 Enjoy four season views of the cove and covered bridge from this tri-level condo with 3 bedrooms and 3 baths. This Ledyard style condominium has a conventional stairway. The great room with open kitchen, living and dining area features a gas stove with brick hearth and ample natural light enhanced by three sliders opening to a wraparound deck. 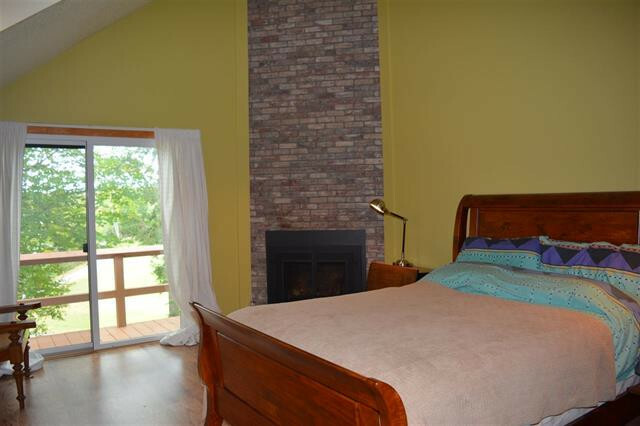 Master bedroom with a brick fireplace with gas insert and a slider opening to a small private deck to watch the sunrise. The lower level walkout family room is designed for easy living with a tiled floor for making it ideal for venturing to and from the beaches and cross country skiing. It also offers access to a storage room for sports gear. Updated heating system with Rinnai heaters on all levels. The beauty of this location is that it's only steps to the cove and lake for swimming, ice skating, kayaking and canoeing. Plus, tennis and golf are nearby. This listing is currently "Active Under Contract." Call Carol Shepherd at 603-568-0880 or email carol@sheprealty.com for more details.